Mordecai Manuel Noah, in the Month of Tizri, September 1825, and in the 50th year of American Independence"
If Major Mordecai M. Noah hadn't suffered rebuffs and financial reverses back in 1825, Grand Island today might be the diplomatic headquarters of the new Jewish State of Israel-and it's City of Ararat a prospering metropolis instead of a myth. 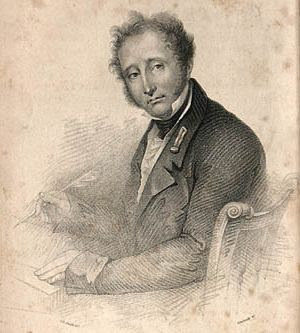 Major Mordecai Manuel Noah (1785-1851) was a noted American journalist(National Advocate), playwright, diplomat, New York politician, and Jewish advocate. He decided in 1825 to found on Grand Island a city of refuge for all the opposed members of his race scattered about the world. 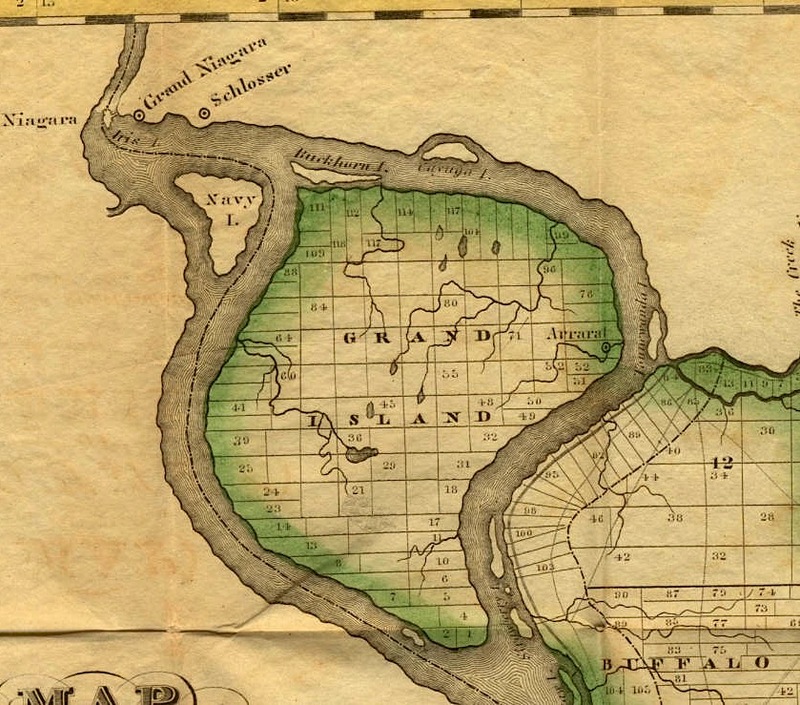 The story actually began five years earlier when on Monday, January 24, 1820, Noah applied to the State of New York to purchase Grand Island. The Bill was reported out of the house favorably for sale to Noah but nothing came of it. His hopes for the Jewish people, his people, though defeated, never remained down. "Hear, O' Israel, The Lord is our God-The Lord is One. ARARAT , a City of Refuge for the Jews, founded by Mordecai Manuel Noah, in the Month of Tizri, September 1825, and in the 50th year of American Independence." "It was intended, pursuant to the public notice, to celebrate the event on the island; and a flagstaff was erected for the Grand Standard of Israel, and other arrangements made; but it was discovered that a sufficient number of boats could not be procured in time to convey all those to the island who were desirous of witnessing the ceremony..." So through the friendly offer of the Rector of St. Paul's Episcopal Church, Rev. Addison Searle, the ceremonies were transferred to that building, in Buffalo. Festivities opened on September 2nd; "at dawn of day a salute was fired in front of the court house, and from the Terrace facing the lake. 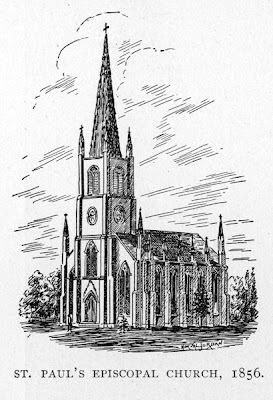 At eleven o'clock a parade moved down Main Street from the Court House to St. Paul's with city officials, bands and members of the Masonic order in line." Center of all eyes was Noah himself, a gentleman of forty, proudly erect of carriage, florid of face, keen of eye, sandy-haired who strode just ahead of the rear guard of Royal Arch Masons and Knights Templar. Over his black costume, majestically austere, were thrown rich judicial robes of crimson silk, trimmed with the purity of ermine. From his neck depended a medal of gold glistening from high embossments." The major conducted the ceremony with all the solemnity benefitting the occasion. "On arriving at the church door, the troops opened to the right and left and the procession entered the aisles, the band playing the Grand March from Judas Maccabeus... On the communion-table lay the cornerstone. "On the cornerstone lay the silver cups with wine, corn and oil. 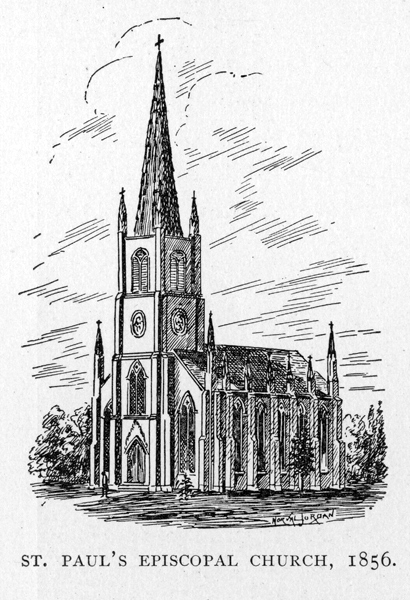 "The cornerstone, was consecrated during the ceremony in both Hebrew and Episcopal rights. Mr. Noah rose and pronounced a discourse, or rather delivered a speech, announcing the re-organization of the Jewish government, and going through a detailed Proclamation of many points of intense interest... "Therefore I, Mordacai Manuel Noah, Citizen of the United States for the City and Kingdom of Tunis, High Sheriff of New York, Counselor at Law, and, by the Grace of God, Governor and Judge of Israel, have issued this proclamation, announcing to the Jews throughout the world, that an asylum is prepared and hereby offered to them, where they can enjoy that peace, comfort, and happiness, which have been denied them through the intolerance and misgovernment of the ages." He declared the Jewish nation reestablished under the protection of the laws of the United States, he abolished polygamy among the Jews and he levied a capitalization tax of three Shekels(one dollar) in silver a year upon every Jew throughout the world, to be collected by the treasurers of different congregations, for the purpose of defraying the various expenses of re-organizing the government, of aiding emigrants in the purchase of agricultural implements, providing for their immediate wants and comforts, and assisting families in making their first settlements. 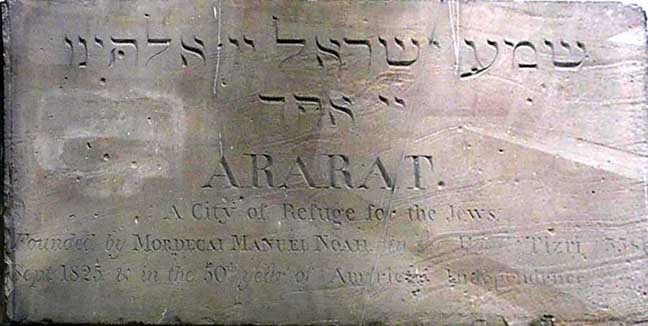 The Proclamation continued at length outlining various ukases for the establishment of the Jewish refuge, The City of Ararat. Meanwhile hundreds of people lined Niagara's river bank, from Tonawanda down to Buffalo, hoping to catch a glimpse of the colorful ceremonial, which they thought was to be held on Grand Island. Many of them came up in carriages in time to hear the Inaugural speech. 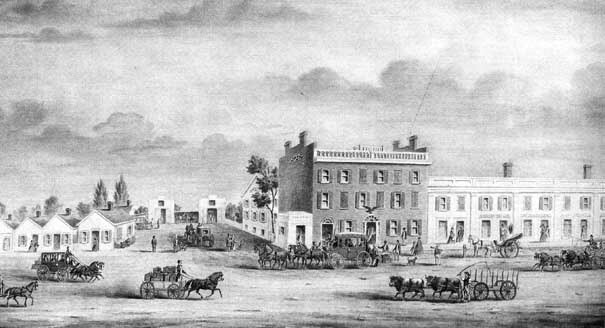 After the ceremony, the procession returned to the Lodge, and the Masonic brethren and the Military repaired to the Eagle Tavern and partook of refreshments. The church was filled with ladies, and the whole ceremony was impressive and unique. A grand salute of 24 guns was fired by the Artillery, and the band played a number of patriotic airs. The day succeeding the ceremonies,---"the corn and wine and oil." and "Proclamation,"---the newly constituted Judge of Israel issued another address, setting forth the design of the new city, and invoking the aide and countenance of his brethren abroad, in contributing of their substance and influence to it's uprising and population. Thus, with due benediction, ended the ceremonial---the first of it's kind known in this country---of the cornerstone of an anticipated Hebrew, or any other city, being laid on the communion table of a Christian Church! The ceremonial, with it's procession, "Masonic and Military," its pomp and magnificence, passed away. Major Noah, a day or two afterwards, departed for his home in New York; The "corner-stone" was taken from the audience chamber of the church, and deposited against it's rear wall, outside; and the great prospective City of Ararat, with it's splendid predictions and promises, vanished, "and, like an insubstantial pageant faded,---left not a rack behind." Map showing the proposed location of Ararat on the right side of island near river. This was in fact the whole affair. The foreign Rabbis denounced Noah and his entire scheme. He had levied taxes of sundry "shekels" on all Jewish tribes of the world; assumed supreme jurisdiction over their emigration to America, and sought to control their destinies afterwards. But, having no confidence in his plans or financial management, the American Jews, even, repudiated his proceedings; and, after a storm of ridicule heaped upon his presumptuous head, the whole thing died away, and passed among the other thousand-and-one absurdities of other character which had preceded it. Noah, however, with his ever ready wit, and newspaper at hand, replied to all the jeers and flings in good humor, and lost none of the prestige of his character and position, either politically or morally. He was known to be eccentric in many things, and this was put down as the climax of his eccentricities. 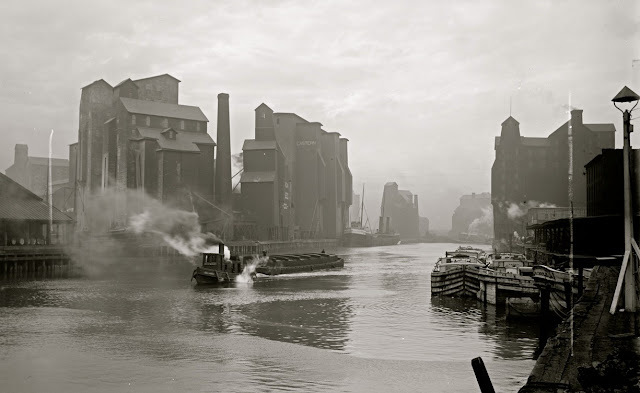 Post Script: First proposed in 1808, the Erie Canal would connect the Hudson River at Albany, NY., across the land mass, to Buffalo and Lake Erie. From Lake Erie, the Mississippi, the Missouri and other interior rivers offered accessible access to the vastness of the continent. The Canal was highly political, and proved to be highly controversial because of the massive debt and scandals involved in its construction. 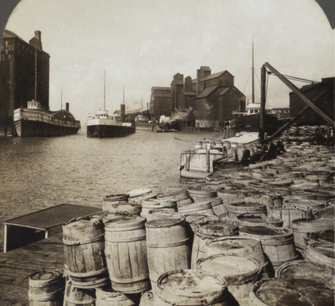 Officially opening, October 26, 1825, the Canal became an economic boon to New York City. 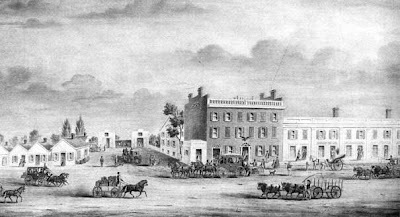 Buffalo, the Canal's Western terminus, prospered mightily. As a newspaper editor of a major American paper, Noah was very aware of the economic possibilities that the Canal could bring. He realized there was a possible link, a possible benefit for his developing idea for a temporary solution to the Jewish problem with Buffalo and the Erie Canal. Opposite Buffalo, in the Niagara River, was a large unpopulated land mass, an island, 17,381 acres about eight miles long six miles wide. Known locally as Grand Island, its ownership had only recently been conceded to New York by the Canadians and the extinguishment of Iroquois land claims. Noah recognized the economic possibility of Grand Island and its strategic location in the Niagara River highway of commerce. He also recognized the possibility of populating the Island as a refuge city for the oppressed Jews. On the one hand it was a bold and innovative idea to solve the Jewish problem. On the other hand, if Noah could manage to gain control of the area, it could be very good for the country, for the Jews and for himself financially.